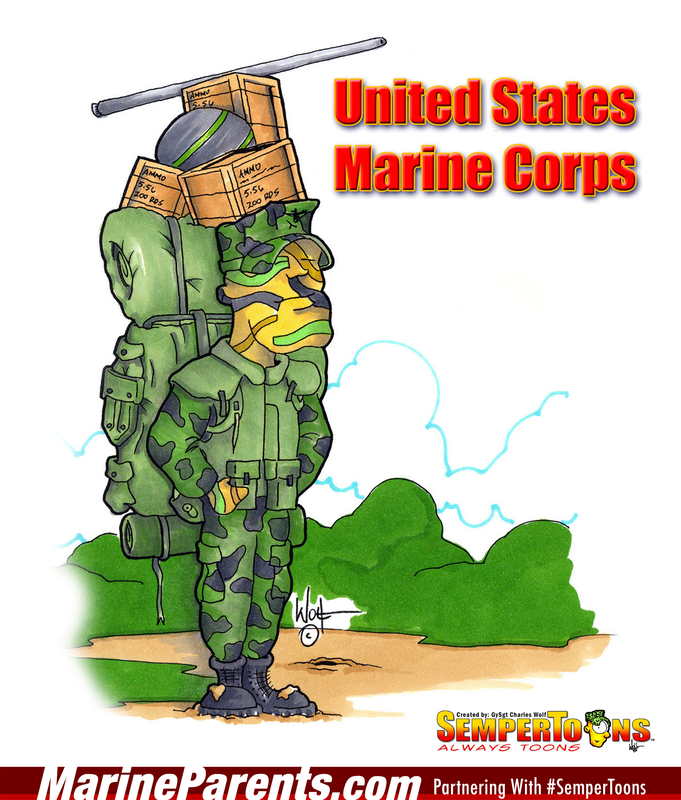 Gunny Wolf from SemperToons has created this cartoon that features a Marine in full camo gear standing in an outdoor setting on the left. The words, "United States Marine Corps" sit on the right. Shop USMC SemperToons at the EGA Shop.